Before the United States expanded beyond the Mississippi River, the land that would become Mississippi, Alabama, and Tennessee was known as the Southwest. 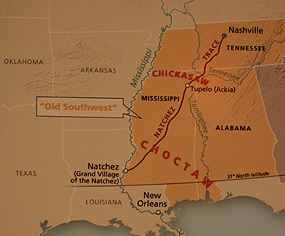 This map shows the Old Natchez Trace passing through Choctaw and Chickasaw lands. In 1836 Eldridge Mallard was elected. He was elected again in 1839 and also in 1840. Mr. Mallard was a very intelligent farmer and keeper of a very popular house of entertainment on the Bykler Road. He was a man of fine personal appearance, and of popular manners. He was a Democrat of the Andrew Jackson school. In fact at that day, in that county, Jacksonianism was Democracy. His family were much more stylish than the people of the county generally, and this fact gave his very plain common sense opponent, James Cain, the advantage in their contest for the Legislature. 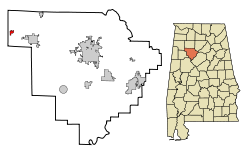 “Three powerful Indian tribes once occupied the territory now known as Walker County, Alabama. The Creeks, Choctaws, and Chickasaws ranged in the area. The Creeks and Choctaws disputed the land between the Tombigbee River and the Warrior River. The Creeks won this area by force, and fought the advance of the white man. The Choctaws, on the other hand, were a friendly tribe. The amended land-grant law of 1819 (small tracts purchased from the Government for $1.25 an acre) brought a host of settlers into this area. The Indian trails were thronged with people from all classes of the social level seeking land under this new act. From wealthy planters with their slaves to the poorest, walking with their possessions on their backs, they came, each seeking land in this wilderness territory. Additional information indicates The Frisco Railroad had a rail line through Eldridge by 1887 which resulted in additional businesses and residents to Eldridge. 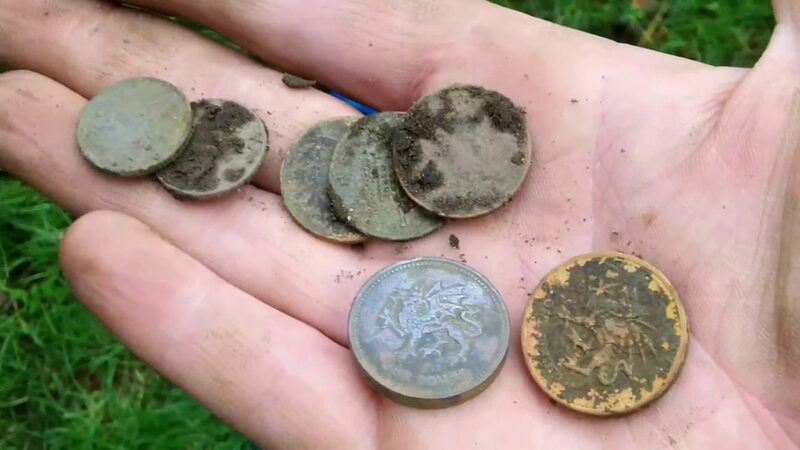 So, we have several assurances that the area around Eldridge was heavily traveled but our research has yet to produce any reference to findings of historical significance. Eldridge is on our list of places to visit and see what we can discover of its past. Eldridge Alabama, in Walker County Alabama, at one time was called Camp Springs. The population is roughly 130. (1) It got this name because travelers passing through the area would stop to refill water barrels from one of the many natural springs in the area. Eldridge is located at 33°55′11″N 87°37′16″W. The latitude of Eldridge is 33.922N. The longitude is -87.617W. Dora (Dora used to be known as Sharon and was a stop on the Kansas City-Memphis and Birmingham Railroad), Jasper, Sumiton.